Maybe we’re getting a little carried away with our role as Fantasy Network Executives, but we’re pretty sure we can predict exactly what will be on tv in 4 years. Expect the new batch of series to contain a breakout SNL star, CBS’s latest Fat Guy/Skinny Wife offering, a movie franchise adaptation, a poorly planned reboot, and a patently offensive comeback or two. And Ryan Seacrest, always Ryan Seacrest. So what’s on the block for 2019? Set your DVR’s way ahead, it’s going to be quite a year! The top 10 selfie takers in America face-off (quite literally) in a variety of different challenges to see who can take the best photo. On a rollercoaster, next to a fire, in a haunted house, who will not let outside elements deter them from their photography skills and ultimately take the crown of America’s Favorite Selfie Taker? This show does not do well. 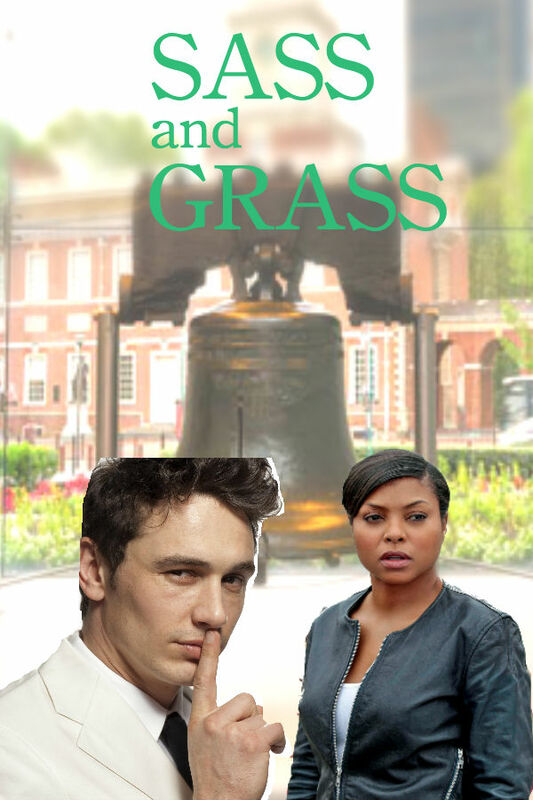 James Franco and Taraji P. Henson star in this buddy cop dramedy patrolling a rough Philadelphia high school, which has a bad weed problem. Except Franco may have a weed problem of his own. Teen ghost falls in love with a living teen (teen ghosts are the teen vampires of 2019). Because if it fails on the big screen, let’s try TV instead. A reality show starring Fran Drescher, featuring her life as a TV producer and her close friendship with her gay ex-husband. In this George Lopez vehicle, he plays the George Lopez character from his 2002-2007 series “George Lopez.” He has moved to Tallahassee to care for his aunt with whom he has “comedic” (but not actually funny) spats. The search for the best kid waffle maker is on. Hosted by Alton Brown, sponsored by IHOP. As the title suggests, Waffle King is already a show by this point. Features people looking to not only downsize their home but also sail the high seas (but not too high, these boats are TINY). In this Apprentice spinoff hosted by Neil Patrick Harris, the search is on for the next great amusement park mogul. Aidy Bryant stars as a Cool Mormon trying to juggle her mommy blog and etsy shop, while wrangling her kids Wren, Polly, and Olive-Lou. Her house and outfits are bright and adorable, and we… kind of want this to exist for real? AIDY? In this TV adaptation of Jerry Maguire, Jerry is played by that British kid from Finding Neverland (Freddie Highmore). Keri Russell and Barry Watson are former classmates at NYU who were academic rivals (there was always a sexual tension between them, but nothing happened). Now they’ve both returned to their alma mater as professors in the same English department and still have that feeling of hatred towards each other but also even stronger sexual tension. One of the students is young Gene Draper from Mad Men. There are sweeps week guest spots by Scott Speedman and Amy Jo Johnson. 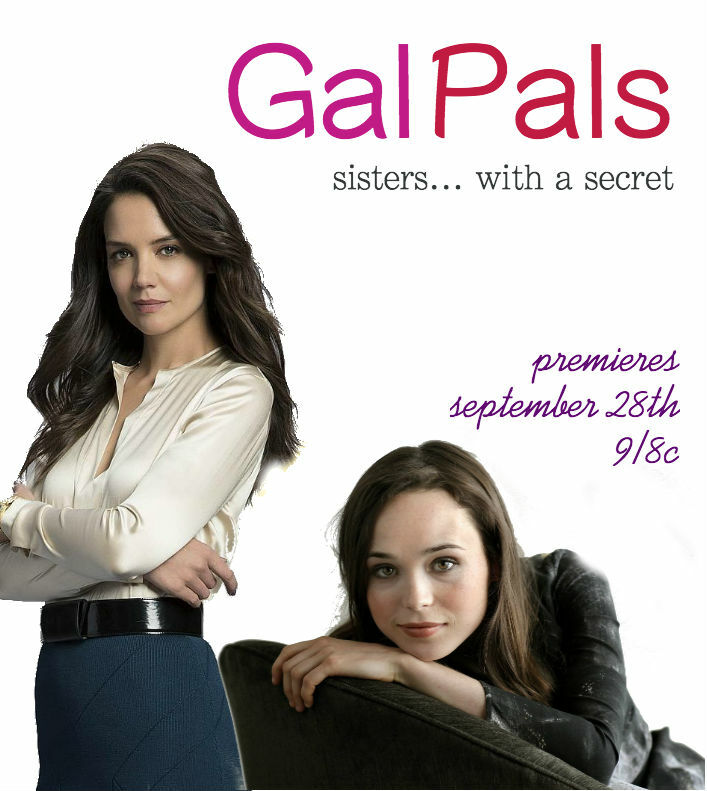 Katie Holmes and Ellen Page star as sisters who have to pretend that they’re dating in order to rent an apartment in San Francisco, a la Three’s Company. A career-driven American 30-something (one of our 2019 TV Rookies To Watch) who has no time for love spars with her London-based editor (Thomas Sangster, the kid from Love Actually). She pictures him as a grumpy old sourpuss, but discovers that he’s actually a young, charming curmudgeon. But they live on different continents and, again, she doesn’t have TIME for love! Bindi Irwin travels to wildlife preserves across Australia, solving training problems and inter-animal rivalries: think Dog Whisperer, but with more kangaroos. In this CW reboot of Gossip Girl, all-grown-up Jenny Humphrey is a touring musician who is haunted by a gossip blogger (still Dan). Inexplicably, Jenny and Dan (along with a few of their classmates) are parents to teenagers, who start to find that their own secrets are being revealed. This reboot of Golden Girls features a cast of 38-44 year old women (the oldest allowable in 2019). A animated/live-action comedy about a Meerkat detective who solves crimes in Chicago using the social media live video app Meerkat. After years in the city, Jake Potter moves back to the suburb of his youth, where he is reunited with all of his old childhood gang and they pick up right where they left off … to much head-shaking by his prim wife, Julie. There are ’90s and early ’00s flashbacks. This is CBS’s requisite Fat Guy/Skinny Wife show for 2019, and it stars Shia LaBeouf (who is fat in 2019). In this attempted comeback, Amanda Bynes plays a sassy, wealthy young doctor who recently took up a post at an inner-city abortion clinic as terms of some kind of probation. The show is quickly canceled because everyone hates it, and in the final episode to air Amanda discovers that she’s pregnant. Maybe Diablo Cody writes it? It stars Dylan McDermott and Dermot Mulroney, who play Daniel Muldowney and Donny McDaniel. When your car gets stolen, who you gonna call? Probably 911, who will tell you to call 311, who will refer you to this department run by Camryn Manheim. So You Think You Lift, Bro? Just two dudes facing off, lifting heavier and heavier weights as the competition goes on. It’s not a hit on primetime and gets cancelled after two episodes on Spike. Hulu’s fitness-oriented online platform MeatHead, picks it up and does great. Brad Pitt realizes every A-lister is starring in a TV show so he does too. In a multi-cam comedy for CBS, Brad plays the super of an Upper East Side apartment building in New York City. He’s an overall upbeat guy and the quirky tenants (think Gilmore Girls or Parks & Rec townies) love him – but when his ex-fiancee moves into the building to live with her new fiance, his jealousy and cattiness comes out. The show airs after the Shia LaBeouf show. Doesn’t even matter what it’s about. It’ll be on and we’ll watch it. 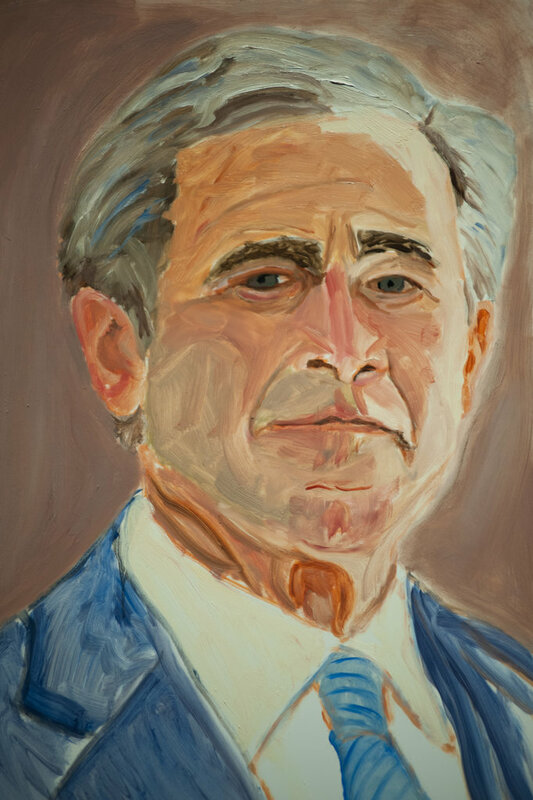 George W. Bush stars in this docu-series about the months leading up to his first big art show installation at the Metropolitan Museum of Art. He shows a stressed side we’ve never seen before but manages to keep his positive attitude a crack a few (a lot) of dad jokes in the process.